A Place of Rage. Directed by Pratibha Parmar, USA, 1991. 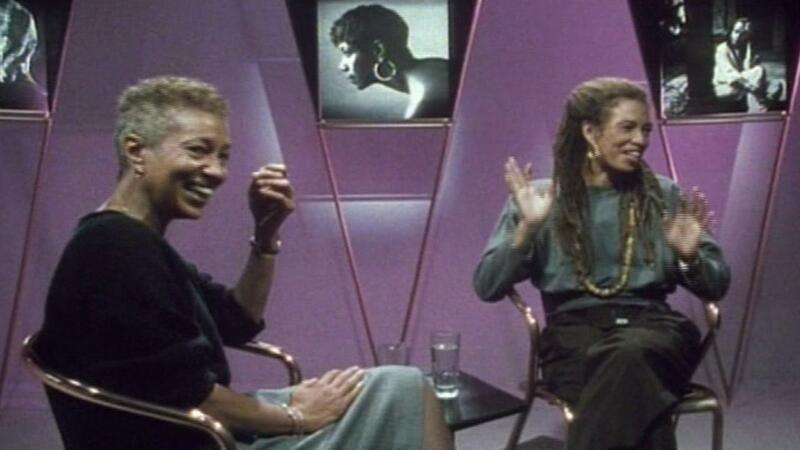 Nazmia Jamal is a dyke to watch out for… Find her on Twitter. Full disclosure. I’m pretty biased about Pratibha Parmar. Once, a woman stopped me in a well-known clothes outlet frequented by art lesbians. “You’re Pratibha Parmar’s sister!” she exclaimed while I beamed, not so secretly delighted by this probably slightly racist misunderstanding. Once, at a screening, Pratibha presented me to Alice Walker. “Meet my little sister,” she said, baffling Alice who has known her for many years and had never laid eyes on me before. I reckon that makes it official. And fittingly so. A Place of Rage is a film about the legacy of our sisters and here I am writing with admiration and gratitude about the work of one of my motibhens. By the time I started working at LLGFF in 2008 I’d seen A Place of Rage and perhaps one or two other films by Pratibha. I used my new ‘film job’ to watch every tape of her work I could lay my hands on. At the time I was particularly keen on her queer desi work, like Khush (1991), or the work she made about being a woman in Britain. I was so pleased to see that Sari Red (1988) was part of The Place is Here at Nottingham Contemporary last year, alongside work by Lubaina Himid and some of Sunil Gupta’s “Pretended” Family Relationships series – although not my favourite photo of Pratibha and Shaheen (Haq, also her producing partner) in their home in London. So, A Place of Rage. If you’ve seen it then you already know why it is important. You know that is combines the frankest of testimonies with a soundtrack to rival Born in Flames and the kind of early 90s vibe that in the current climate make this film not just politically but sartorially relevant, unnervingly so. 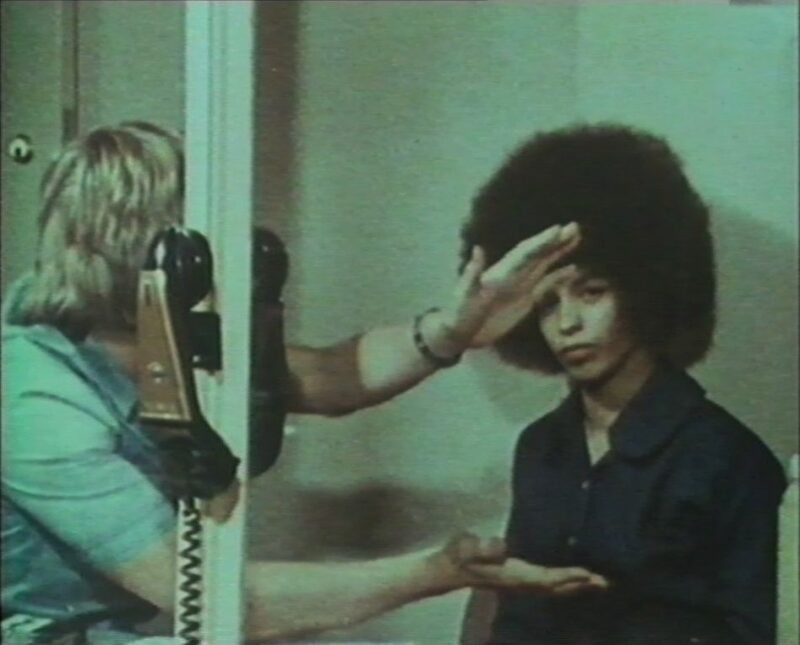 Angela Davis talks about how the berets and the “romantic revolutionary image” of the Black Panthers drew people to their movement. She then goes on to feature in one of the greatest revolutionary feminist sports montages of all time, and you are going to want to yell “sign me up!” at the screen. June Jordan asks what you think your activism is worth if you aren’t stepping up for the Palestinian people. She asks, “how about every time they kill a black boy then we kill a cop?” She asks, “what will the big boys say, will they claim my consent?” It is hard not to weep because nothing much has changed. It is hard not to weep at her absence. We are all, every day now, witnessing or experiencing the sort of brutality that, to paraphrase June Jordan, is hardening us in a place of rage. Pratibha’s film is important not just because it is a record of what came before but because it offers us a blueprint for action now. 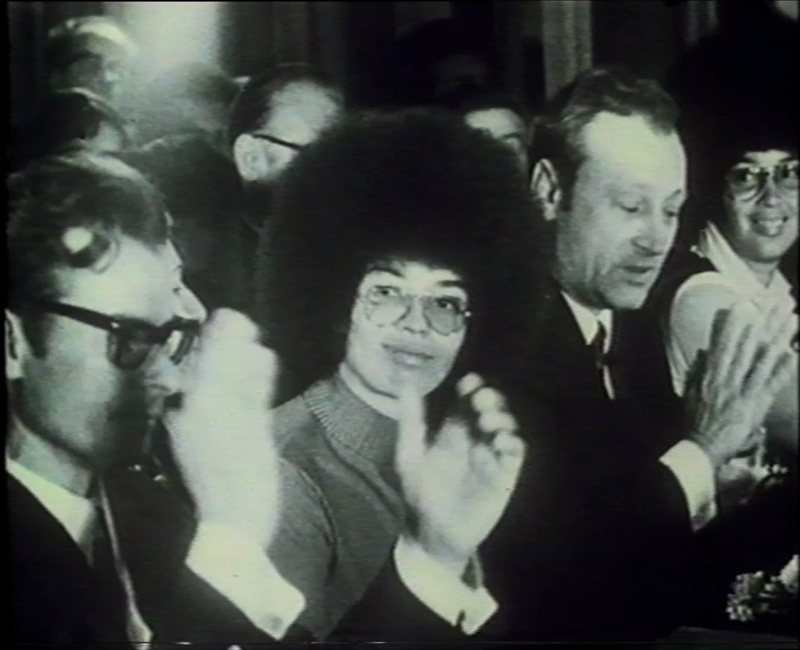 Also, I remind you that you have not lived until you have seen Angela Davis playing squash. Thanks for making us this gift sister.